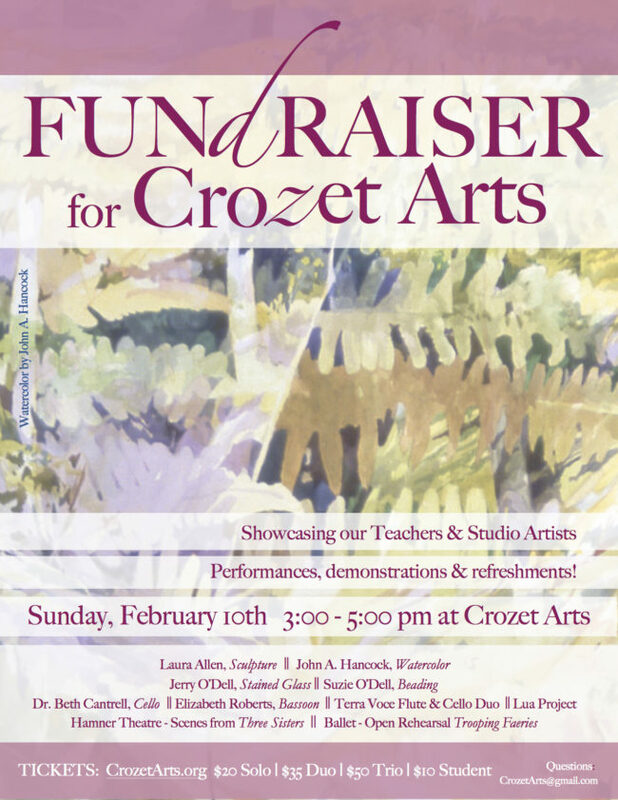 Please join us TOMORROW, February 10th for a FUNdRAISER showcasing our teachers & studio artists. Click for more. 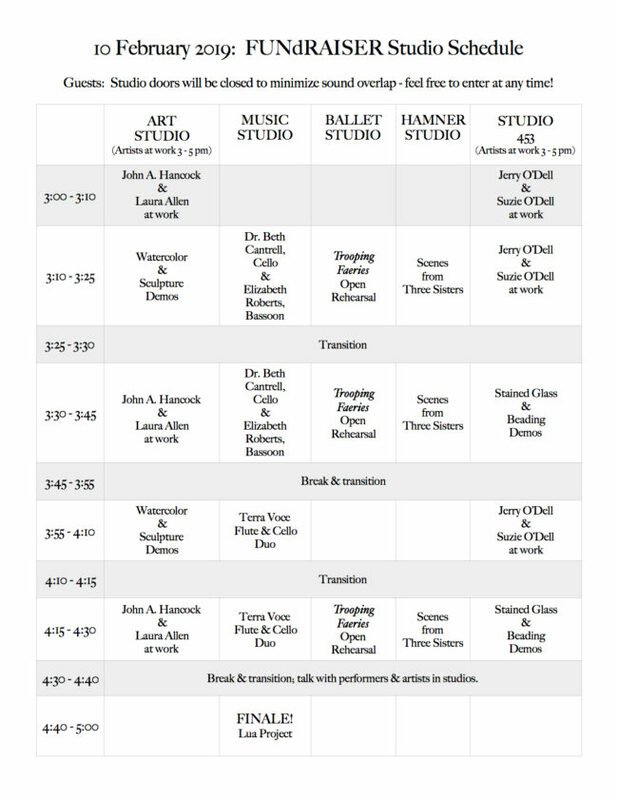 | Crozet Arts: Dance-Music-Theater-Visual Arts-Yoga Ballet, theater, art, music, yoga classes in Crozet, western Albemarle, near Charlottesville, Virginia.